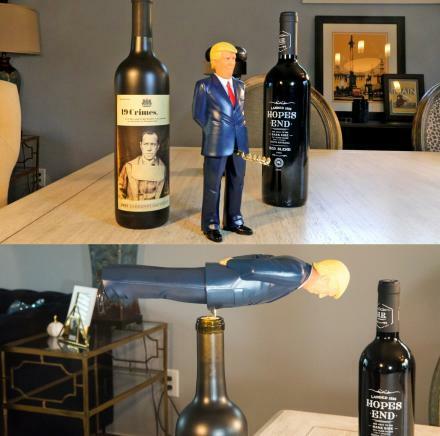 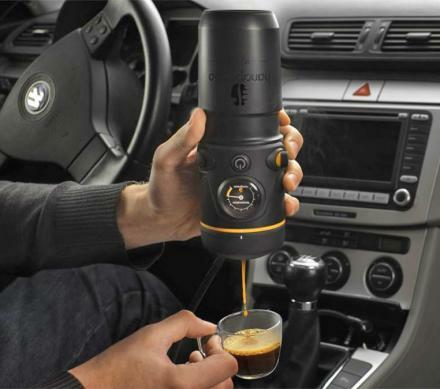 If you're using a regular coffee mug that doesn't change into something awesome when you add in your coffee or tea, you're clearly doing it wrong at this point in life. 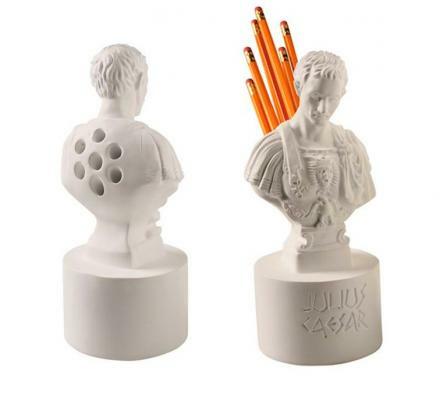 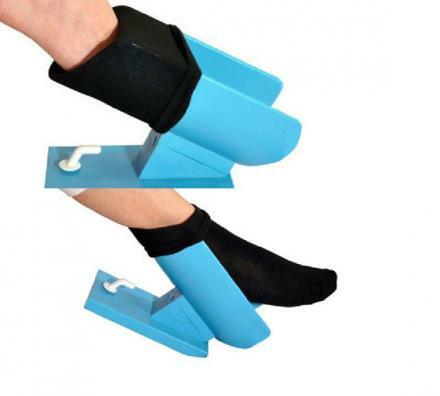 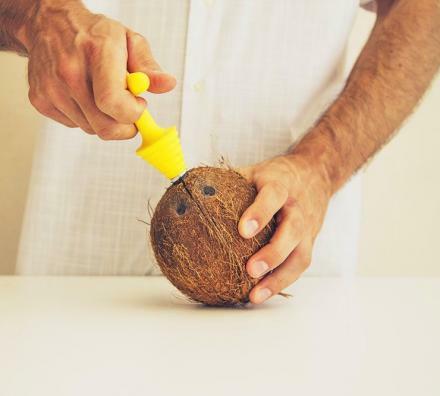 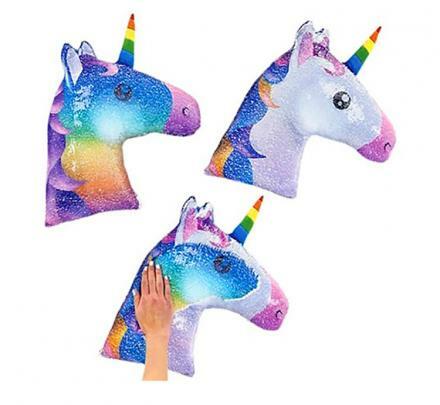 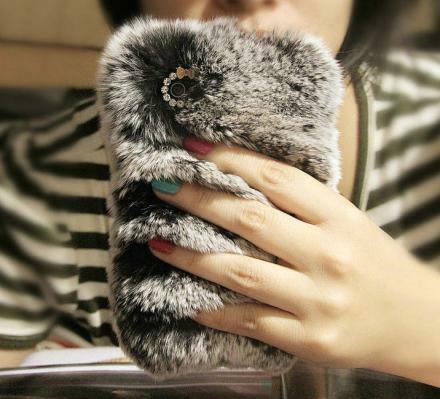 Heat changing mugs are all the rage now-a-days! 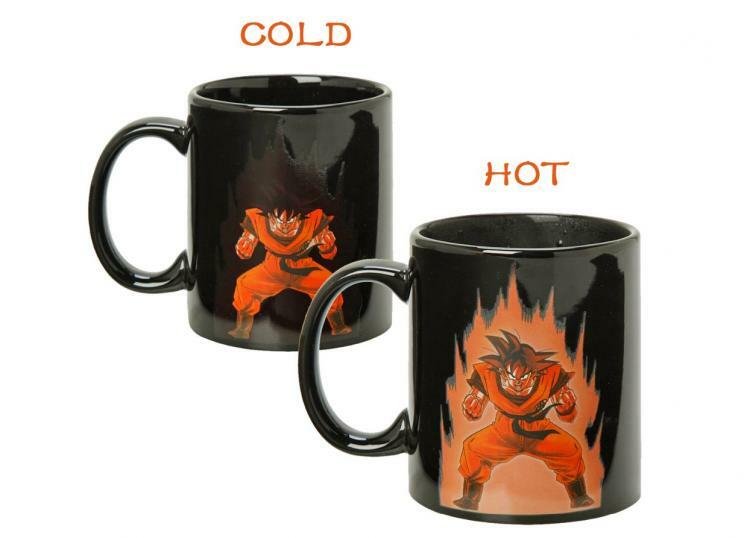 And this Dragon Ball Z heat changing mug is no exception! 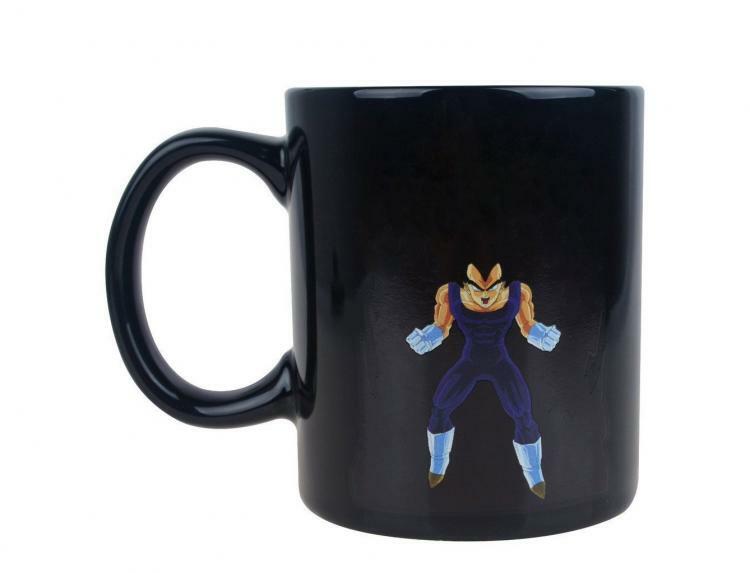 If you're a Dragon Ball Z fan or just an anime fan in general, you're going to love this amazing mug! 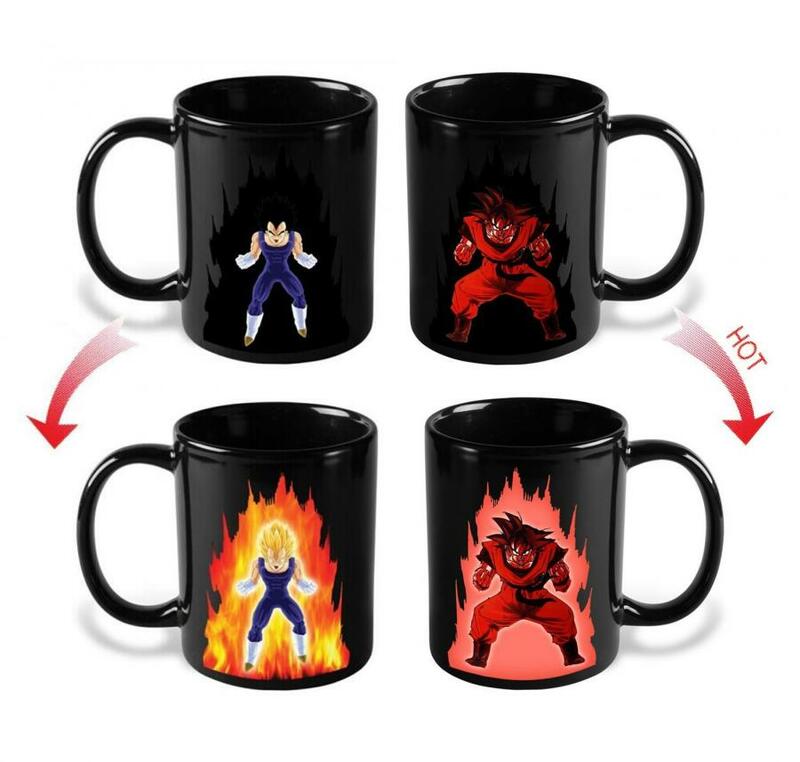 It features both Goku and Vegeta on each side of the mug, and when you add in hot liquid, they power up and explode with fire behind them! 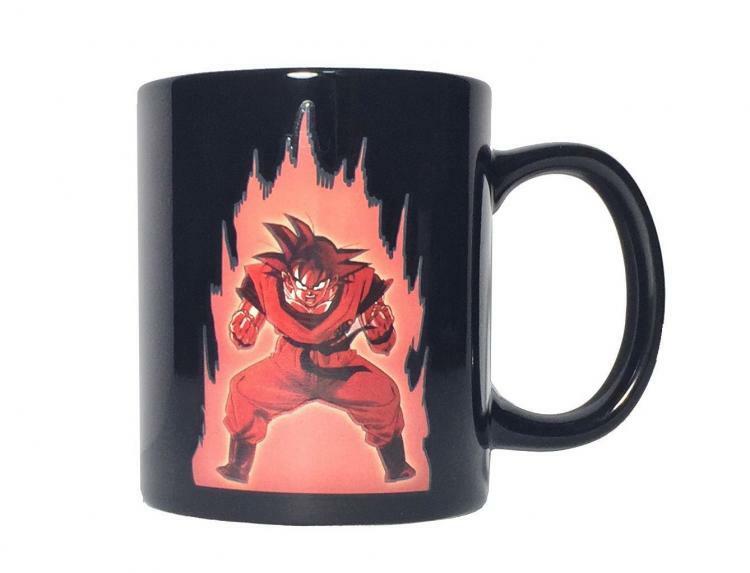 Once the fiery background of the Dragon Ball Z heat changing mug begins to fade out, you'll know it's time to dump out your lukewarm drink and get a new one that's nice and hot. 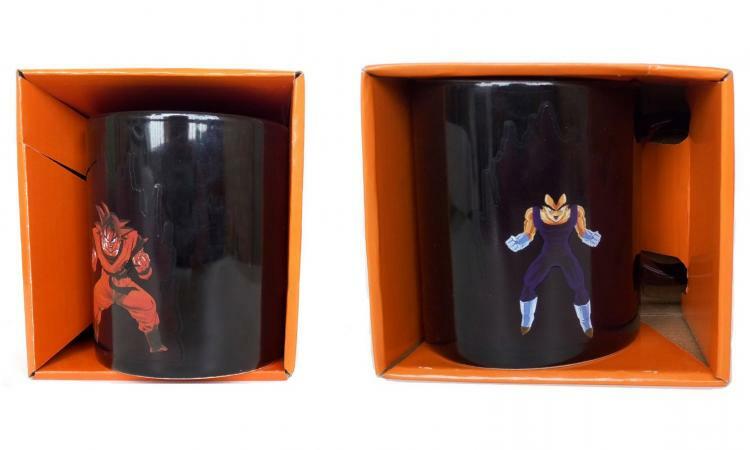 The geeky heat changing Dragon Ball z coffee mug is made from ceramic, and can hold up to 13.5 oz of liquid inside of it. 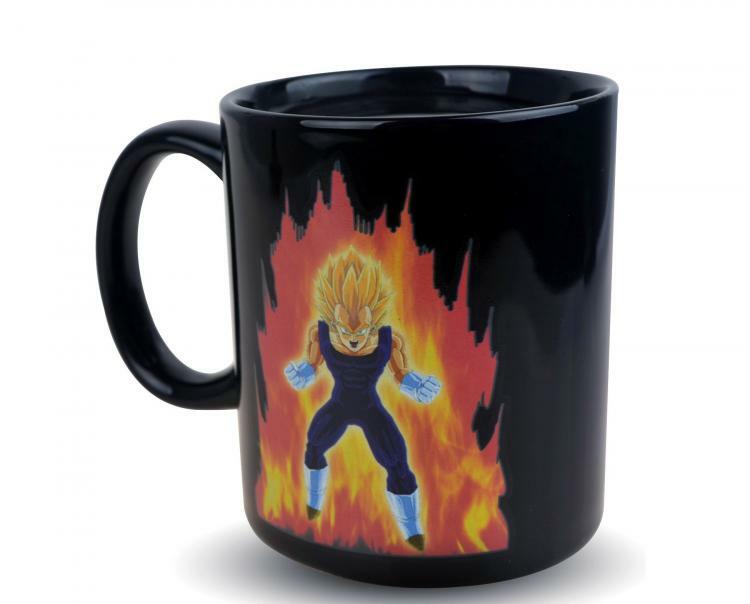 The mug is all black in color, that is until you add in your hot liquid and the explosions of color begin. 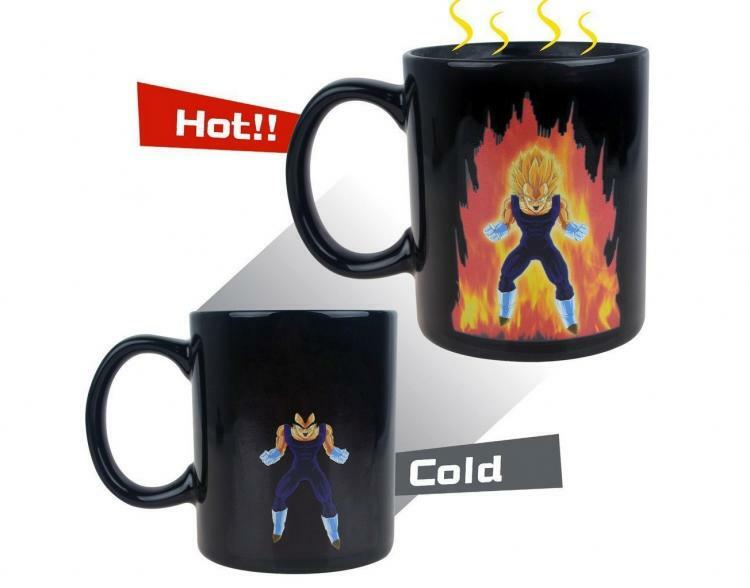 Check out the heat changing Dragon Ball Z Vegeta and Goku coffee mug in action via the video below.